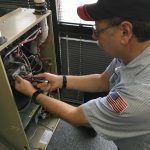 Most of our customers are naturally interested in coming up with the best ways to save money on their bills for air conditioning and furnace repair. Not surprisingly, we strongly encourage maintenance agreements. Some cynics might suggest that is because we want to bill you twice a year. Something to keep our income steady and predictable. However, that is not the case, rest assured, we would not have been here since 1977 if our mission was to excessively bill our customer for unwanted services. We provide top-level customer service. Plan Ahead for your Denver HVAC Repairs and Air Conditioning Service. Maintenance agreements do not cost they save you money and stress. We find systems installed improperly can be corrected and updated to create a significant improvement in efficiency. As part of our maintenance contract is to evaluate your current system performance for long-term improvement. Our technicians have the necessary training and experience to detect early warning signs before they become expensive equipment replacement issues. A slight irregular sound that you may not notice is a loud call to action for our professionals. With no maintenance contract, you are essentially deciding to wait until your system goes down before initiating a response. This ensures that at some point in the future, you will need a costly emergency service call and will be without heat or AC in the short run, at least. Plan ahead with a Sanders & Johnson maintenance contract and save on other services. For peace of mind and proven long-term savings, contact our offices today to get more information and to schedule a consultation. You can call us directly at: 303.422.6606 to speak with one of our service technicians.